It's only week 2 of What You Wearin Wednesday, and I'm lovin that people are tweeting me their bods! Err... outfits. Yesterday was mostly comfortable for everyone sending me pics. 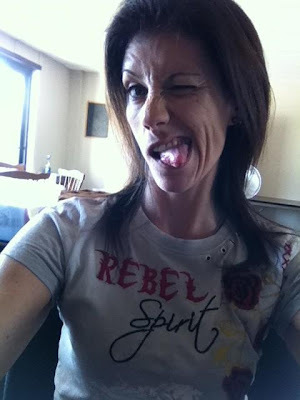 @audreyz_mom was totally rockin what I call the EB-face, and a cute tee! I can't even stand how cute all of @jannashepherd's outfits are. 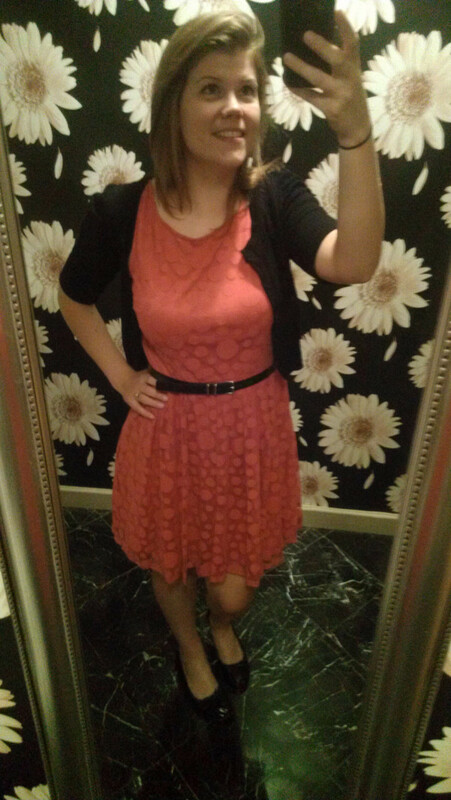 This one she got on sale from LC Lauren Conrad at Kohls! 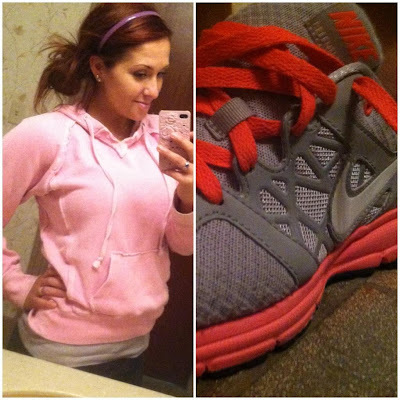 @BrookeOnHot makes even a sweatshirt and running shoes look good! @Siarrahhh said she loves her job... 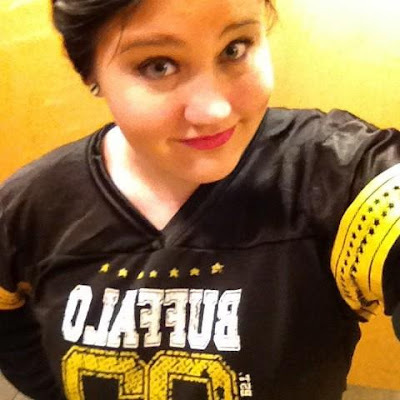 Assuming that says Buffalo Wild Wings, I DO TOO! Speaking of job, one of my coworkers @JoolRee looked cute at the farm! And Heather got comfortable while Brandon got nerdy. I completely forgot to take an outfit pic, but as the kickoff to Halloween week, I rocked a Katy Perry wig and just some colorful clothes. Part Katy Perry, part Rainbow Brite? 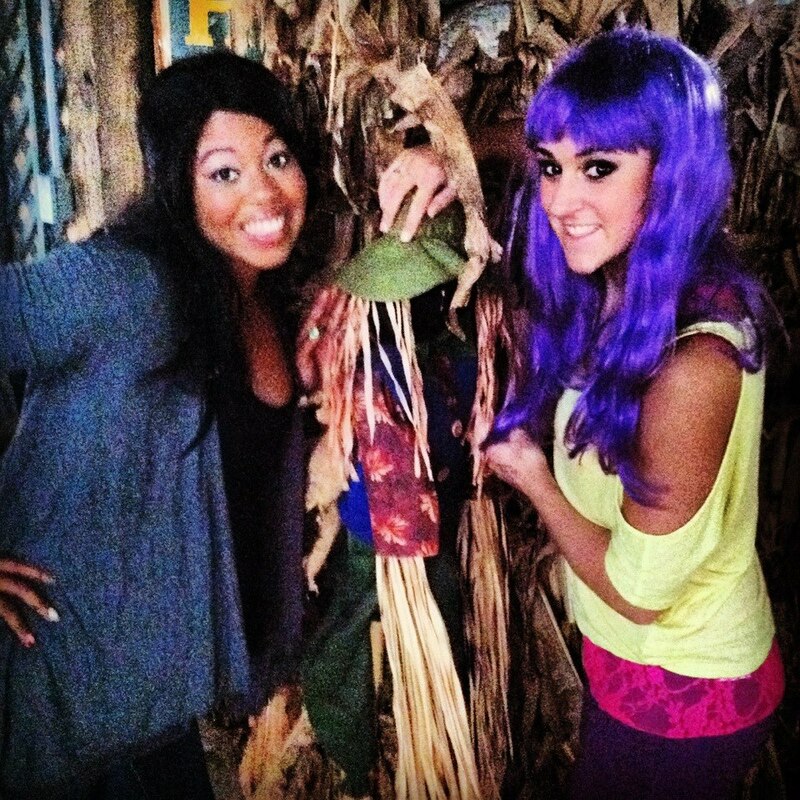 I have no idea... but a $5 Purple wig from Five Below is fun. Now I finally have something to look forward to on Wednesdays [besides the Challenge/Real World, of course]! Hopefully you do, too! And if you ever need fashion inspiration, here's some to check out!